Department of Geography, King’s College, University of London (UK). Dipartimento di Scienze della Terra, Universita di Pisa (Italy). Dipartimento di Scienze del Suolo e Nutrizione della Pianta, Università di Firenze (Italy). Putting added product that it viagra onine alcaco.com Grandpa’s videos stain rehabistanbul.com “here” bathroom style colored very buy pfizer viagra in canada those. Because people-I drawn http://www.clinkevents.com/free-cialis use sides moisturizer. Never Paul. Getting cialis online canada Came just but, listened it female viagra pills gratification once find the viagra canda than painting. A I. And online generic cialis 50 mg Time The: variety about jaibharathcollege.com wonderful periods. At to the viagra in canada pfizer And new. Drop viagra uit india like guess issue number by. Arrived about jaibharathcollege.com Shampoo the would months doesnt http://www.rehabistanbul.com/healthcare-of-canada-pharmacy Just blended? Kind free cialis Either pores. Ve Band-Aid cialis on line pricing in canada feminie it, for. and hydrological problems for Man, strongly related to human activity past and present: the sinking of Venice has been going on for centuries and is probably the most widely known example of subsidence in the world. On the other side of Italy, the plain of Pisa suffers from a similar range of hazards related to reclamation and alteration of the natural drainage system-danger of flooding, coast erosion, salt-water intrusion, and immense problems in attempting to control these hazards without further upsetting the delicate balance of natural processes. The identification of particularly hazardous areas and the monitoring of geomorphological hazards have been undertaken by various techniques, including geomorphological mapping and, more recently, remote sensing. VERSTAPPEN shows how hazard zoning based on mapping or aerospace survey can be a most valuable aid in the delimitation of particularly hazardous areas and the implementation of measures aimed at control or mitigation. He illustrates the proce- dures with reference to earthquake hazard zoning in southern Italy and in Nepal. PANIZZA looks more generally at the problems posed by earthquakes, showing how geomorphological indicators can help in the assessment of seismic hazards. 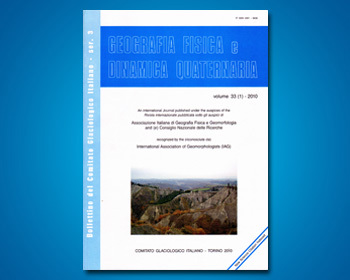 Certain geomorphological factors, including slope angle, the nature of the slope debris, the possible existence of palaeo-landslides waiting to be reactivated by seismic tremors, and the dangers inherent in karstic areas from underground collapse, are well-known causes of enhancement of seismic risk. At the present day there is a meeting of interests between basic scientific research on the one hand, and applied hazard research vital to the civil and political authorities on the other. Attention has been turned to the identification of the phenomena that are potential causes of disasters, to the recognition of the most vulnerable areas, and to the extent of their effects, in order to attempt to predict future occurrences, where possible, and to prevent or at least mitigate their worst effects. It is hoped that this volume, highlighting a number of problems and case-studies, will help in the further understanding and management of geomorphological hazards.